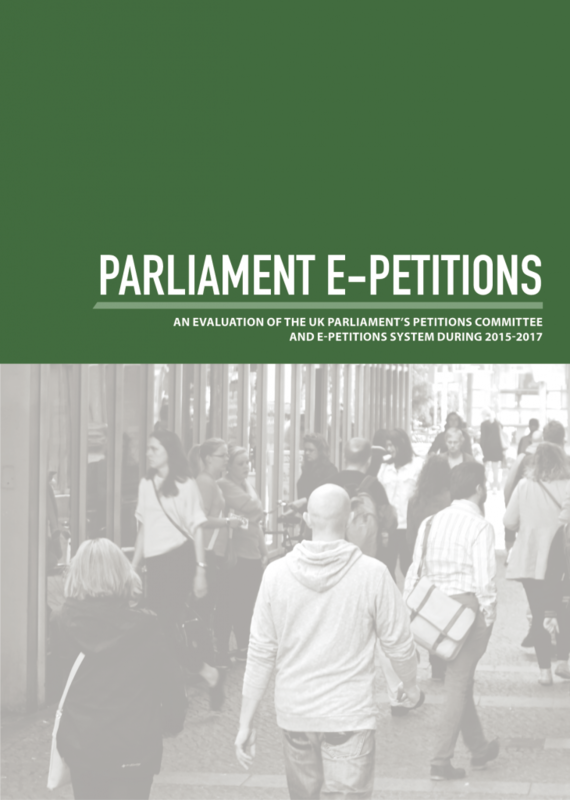 After two years the Petitions Committee has contributed towards a fairer and more transparent e-petitioning system, with varied and innovative forms of engagement with the public. 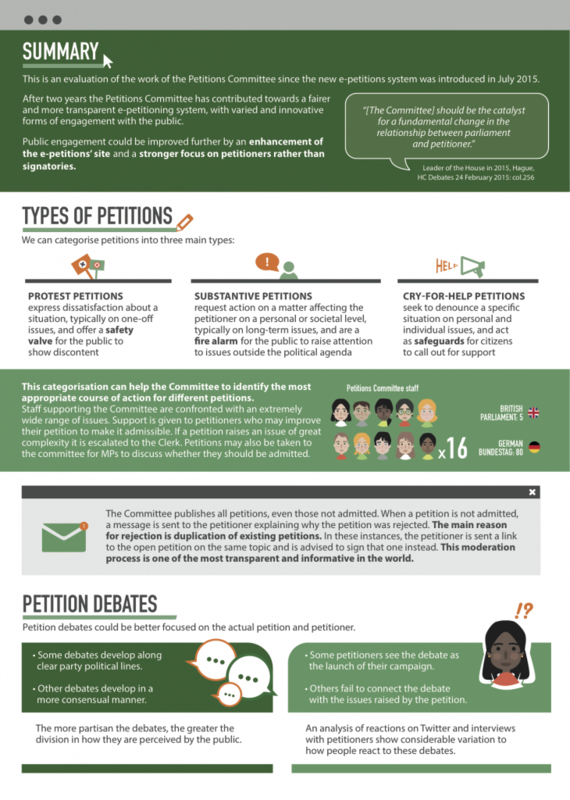 Public engagement could be improved further by an enhancement of the e-petitions’ site and a stronger focus on petitioners rather than signatories. 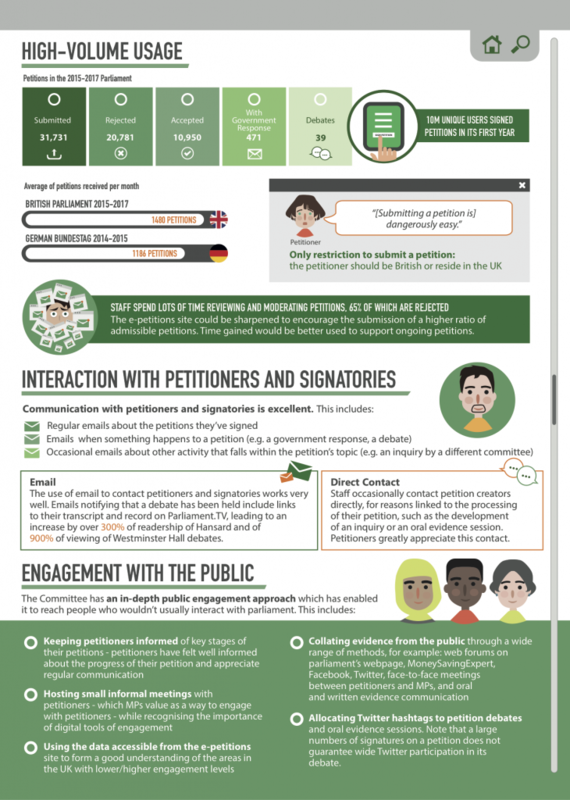 This brief is based on research undertaken by Prof Leston-Bandeira and Dr Viktoria Spaiser, October 2016 – April 2017, funded by an Impact Acceleration Account grant, which formed the basis for a Report for the Petitions Committee. 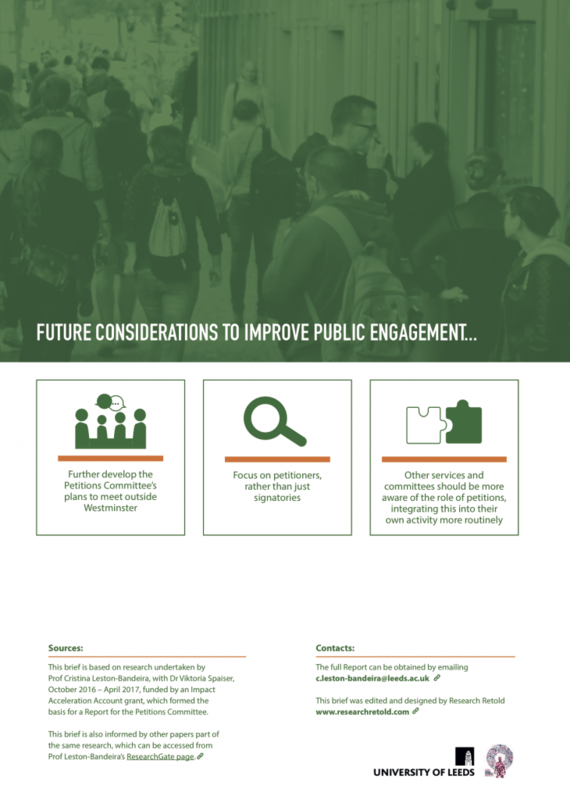 This research was summarised by Dr Victoria Hasson and graphic designed by Radina Metodieva.